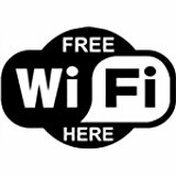 The Library provides patrons with free internet access. 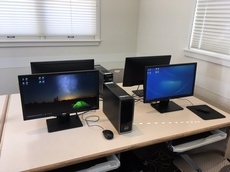 There are seven individual stations, each loaded with Microsoft Office. A limit of thirty minutes is imposed on library computers when other patrons are waiting. Wi-Fi access is available throughout the facility. No password required. Bring your laptop or iPad when we're open or utilize our outdoor facility (the parking lot) anytime you like. Patrons are able to print from each of the seven Library computer stations. Printing costs $.10 a page. Scanning is available at the circulation desk for free. Please bring your own flash drive to save documents. The Library does provide faxing for the public. Price per page is $.50 not including the cover sheet. 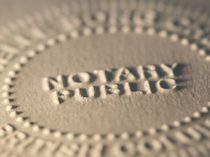 Notary service is available for free to all residents with a GCPL library card. Please contact the Library to make sure the notary is available.